I remember the Columbine shooting like it was yesterday. I was a junior in high school and couldn’t imagine if something like that were to happen at my school. That was also a time where things like that just weren’t the norm like they, unfortunately, are in our society today. Back then it was shocking, now we are sad but never surprised by the mass shootings that happen in our country. When it comes to a child committing these atrocities the first thing people want to do is point a finger at the parents. While that is a natural reaction, and in some case a legitimate cause, it is often misplaced blame. I am sure writing this book was beyond difficult for Sue. Not only have to relive that time but also the oppositions she must have gotten from others and the backlash for people who believe she shouldn’t profit from this story. All the book proceeds are being donated to causes that help research and focus on mental health so in reality she is doing this to HELP other parents and I commend her for that. I really enjoyed reading her insight and I know that this book will help parents to recognize these own traits in their children, hopefully before it is too late. Mental health research and care is severely lacking in this country so if this book can help just one parent be able to reach out and help their child then it was worth the struggle to write it and backlash she probably got for doing so. It also helped to make me realize that first and foremost Dylan was someone’s son and to think that his parent couldn’t or shouldn’t mourn for him, no matter what awful act he committed, just isn’t right. 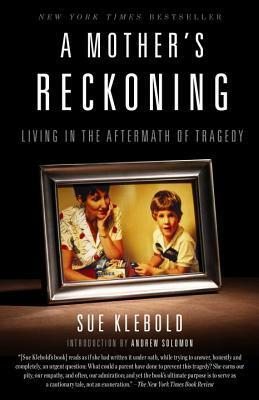 This book helps open your eyes from the perspective of a parent for, who all intents and purposes, provided a near perfect upbringing and yet her child still did the unthinkable. Definitely worth the read. “Meg Moritz, a journalist and professor who was looked closely at the media coverage of Columbine, reminded me that the journalists in question are often making split-second decisions under less-than-optimal circumstances. Even so, it’s not unreasonable to expect legitimate news organizations to follow best-practice guidelines. Many of these guidelines are “don’ts.” Don’t show images of the shooter, particularly ones of him with weapons, or in the outfit he chose to carry out the massacre. Don’t show the weapons used, or other evidence. Don’t endlessly repeat the name of the shooter; instead, refer to “the killer” or “the perpetrator.” Don’t give airtime or publish the videos they make (like the Basement Tapes) or manifestos posted to their social media accounts. Don’t compare the killer to other killers, particularly by putting emphasis on how many people they have killed. Tufekci believe that numbers-how many dead and injured, the number of bullets fired-and photographs are particularly inflammatory, as they provide a benchmark for competition. Don’t sensationalize the violence or the body count-“the most people killed and injured in the country’s history!” Don’t oversimply the motivations behind the act.